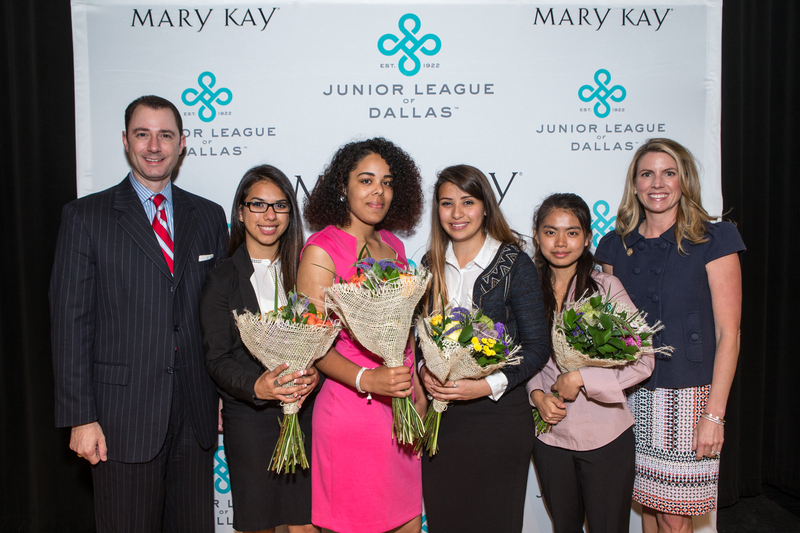 DALLAS – March 30, 2015 – Four deserving Dallas Independent School District high school seniors are one step closer to pursuing their dreams of higher education as Mary Kay Inc. and the Junior League of Dallas (JLD) announce the recipients of the second annual Women LEAD (Learn • Excel • Achieve • Dream) Scholarship Program. On March 26, 2015 at Emmett J. Conrad High School, two of Dallas’ most respected women’s organizations partnered to award $25,000 in scholarships to four female students to create opportunities for future women leaders. Established in 2013, the scholarship program is inspired by company founder, Mary Kay Ash, who started the now iconic global beauty company more than 50 years ago with just $5,000 Mary Kay has led the way for millions of women worldwide to pursue their dreams. Ten Conrad High School student finalists prepared a short speech based on the founding principles of Mary Kay Ash and the essay topic, “their dream beyond college and how they could accomplish it with $5,000.” A panel of judges selected four winners based on their scholarship application, community involvement, academic record and speech presentation. With a passion for leadership and serving her country, first place winner Emili Quintero will receive a one-time $10,000 scholarship. She will attend Texas A&M University in the Fall and hopes to major in business management. Following graduation, Quintero plans to enlist in the military. Second place winner Emily House, third place winner Sung Mawi and fourth place winner Belem Soto, will each receive a one-time $5,000 scholarship. House plans to attend the University of Houston and major in physical therapy. With a passion for helping those in need, House believes this is her way of giving back to the community. Mawi will attend the University of Texas at Austin to pursue a degree in accounting. She is passionate about math and serving others and would like to use her degree to guide and advise the community. Last, but not least, Soto also plans to attend Texas A&M University. She hopes to major in wild life conservation and help make the world a better place. She aspires to become a scientist and hopefully be a part of National Geographic one day. The Junior League of Dallas is an organization of women committed to promoting voluntarism, developing the potential of women and improving the community through the effective action and leadership of trained volunteers. Founded in 1922, the Junior League of Dallas trains members for effective participation in the community and is dedicated to the belief that volunteer service is an essential part of responsible citizenship. 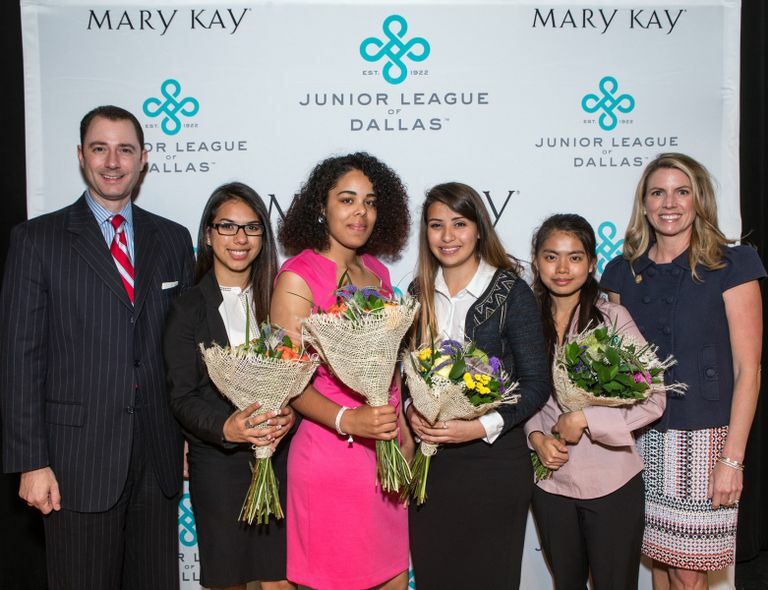 Whether tutoring students, rocking infants, building homes or serving on non-profit boards and coalitions, the 5,000 Junior League members provide more than 130,000 hours of community service each year, while making sure that each donated dollar works its hardest to help those in Dallas who need it most. Active members range in age from 22 to 49 and 74 percent are employed outside of the home. For more information, please visit www.jld.net.